Dr.Margarita Jara is Associate Professor of Spanish. She obtained a B.A. in Hispanic Languages and Literatures in the Pontificia Universidad Católica del Perú. She received her master's degree and doctorate in Hispanic Linguistics, as well as the Certificate of Latin American Studies from the University of Pittsburgh. Her book titled El perfecto en el español de Lima: Variación y cambio en situación de contacto lingüístico (The Perfect in Lima's Spanish: Variation and Change in a Language Contact Situation) was published by the Pontificia Universidad Católica del Perú Press in 2013. It analyzes the alternation of past perfect form in the oral speech of Lima Spanish, and the constraints placed on past form variation within narrative discourse due to linguistic and social factors. Dr. Jara has several publications on Spanish variation and change, language ideologies and integration of technology in linguistic classes in peer-reviewed journals such as Spanish in Context, Studies in Hispanic and Lusophone Linguistics, Revista Internacional de Lingüística Iberoamericana, Signo & Seña,Sociolinguistic Studies and Lexis. Currently, Dr. Jara is doing research on Peruvian Amazonian Spanish. She is studying the historical and social factors that would have contributed to its formation as well as the morphosyntactic features that characterize this variety. Before arriving at UNLV, Dr. Jara taught at the Universidad de Lima and other educational institutions in Peru. She also worked training bilingual indigenous teachers and doing field work in Peruvian Amazonian communities (1988-1992). Dr. Jara has taught all levels of Spanish as well as undergraduate and graduate linguistic courses. At the undergraduate level, she regularly teaches Introduction to Hispanic Linguistics, Spanish Dialectology, Topics in Hispanic Linguistics and Spanish Phonetics and Phonology. At the graduate level, she offers a wide range of courses such as Seminar in Spanish Linguistics, Spanish Sociolinguistics, Spanish Dialectology, and Topics in Hispanic Studies. In 1992, the Spanish International Cooperation Agency (AECI) awarded her a Scholarship to study in Madrid where she obtained the Diploma of Spanish Language and Literature Teachers. 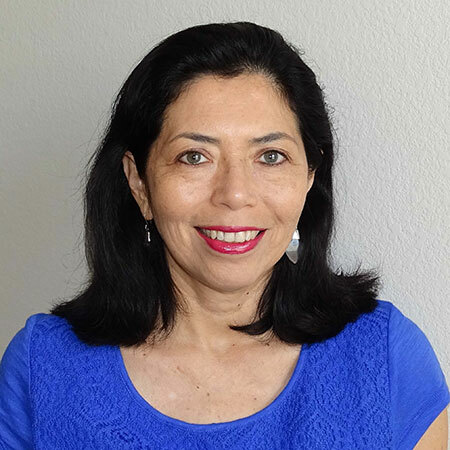 In 2005 she received the Outstanding Teaching Assistant Award by the Department of Hispanic Languages and Literatures, University of Pittsburgh, Pennsylvania. In 2012 she received the College of Liberal Arts Diversity Award that recognizes a faculty member from underrepresented groups within the College of Liberal Arts for outstanding scholarly work. She was nominated for the College of Liberal Arts' William Morris Award for Excellence in Teaching (2010) and for Excellence in Scholarship (2013).